Claudia Cristina Leitte Inácio Pedreira is a popular Brazilian axé and pop artist. She is popularly known by the nickname Claudinha in the Brazilian music Industry. Cláudia Cristina Leite Inácio was born on 10th July 1980 in São Goncalo, Brazil to Ilna Leite and Cláudio Inácio. She has a younger brother. Leitte started working as a party entertainer for kids. She also performed gigs at small bars in her hometown Bahia. During the 90’s she worked with various groups, and this was when she crossed paths with guitarist and songwriter Sérgio Rocha. 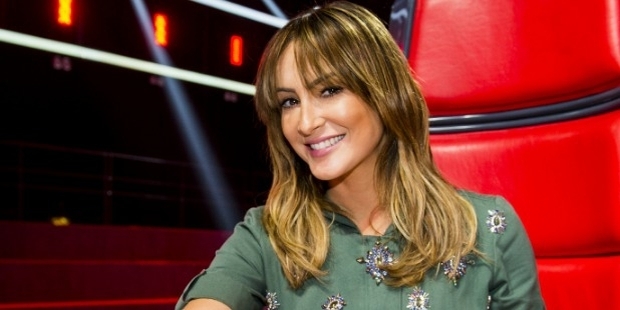 Claudia Leitte decided to form a band called Babado Novo with Sérgio. They recruited other musicians and managed to release their first indie single “Cai Fora”. This was the beginning of a promising career for Claudinha. Later, the band landed a contract with Universal and Poly Music and their album sold over 500,000 copies, and was a huge hit at the carnival in 2003. In 2003, the band released its next album “Sem-Vergonha”, which included five hit singles. Shortly after, they released a video of their single “Uau!” a record which sold over 500,000 copies. They also toured around the United States and Japan to perform live shows. In 2007, they released “Insolação do Coração” and Leitte won the VMB Award at the 2007 MTV Video Music Brazil Awards. In late 2007, Leitte decided to leave the band and pursue a solo career after which, in December 2007, she released her solo debut Exttravasa. The song became a huge hit and was aired on the radio. She then went on to stage a live performance at the Copacabana Beach and was watched by millions. In July 2008, she toured the world as a solo artist for 82 shows around Europe and Brazil, and later, signed a deal with Sony Music and debuted “As Másceras”, for which she received a nomination for the Best Contemporary Pop Album at the Latin Grammy. In 2011, she performed another single “Locomotion Batucada” to an audience of 2 billion people at the Miss Universe Contest. In 2012, Claudia appeared on the Brazilian version of The Voice as a mentor. 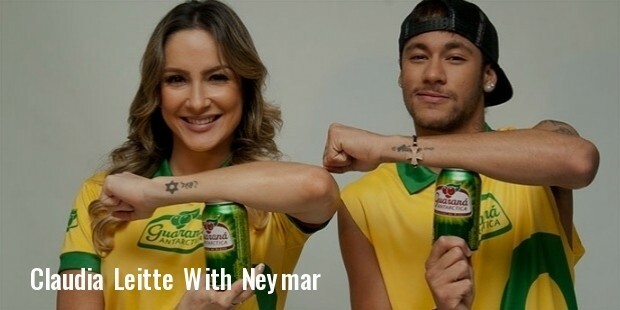 She was approached by Pittbull in 2014 to represent Brazil at the FIFA World Cup official song. Leitte has made appearances on a number of Brazilian shows, which include hosting an episode of Uma Hora de Successos. Claudia Leitte is currently married to Márcio Pedreira and they have two children.